Composed by Bob Good. Contemporary Classical, Musicals, Repertoire, Recital. Score, Set of Parts. 9 pages. Published by Surrey Dance Music (S0.431731). 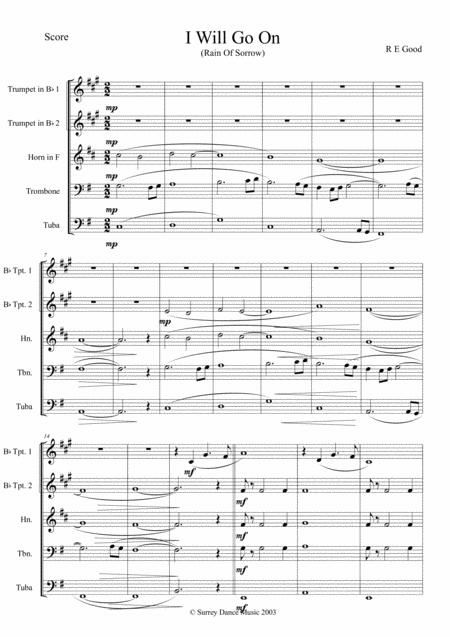 Arrangement for Brass Quintet of the song from the musical "Silver's Ghost". Sorry, the audio clip is from a string quintet performance, but you get the idea, I'm sure.